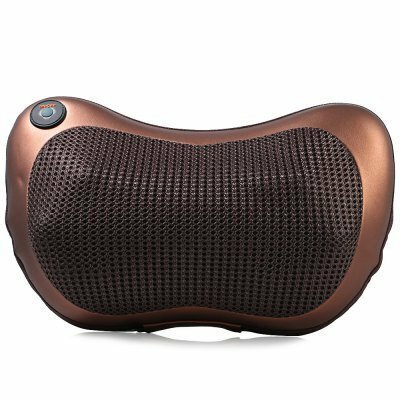 Massage Back Cushions Infrared A lumbar support cushion very powerfull that emits penetrating Far Infrared heat and a strong vibrating massage, to help relieve lower back pain, support kidney function, correct posture and improve circulation. The cushion relieves chronic lumbar pain and sore muscles caused by repeatedly holding the same posture from working, or driving for long hours. Far Infrared heat expands capillaries which promotes increased blood flow and circulation - the cushion has far infrared strips on either side, combined with regular heat which can reach up to 113 F (45 C). The vibrating massage - generated by two motors, one on the left side and one on the right side - helps relieve the pressure and strain between the vertebra.